Mobile device risks and threats are on the rise, and, as mobile becomes the predominant platform in the enterprise, we anticipate more mobile-specific vulnerabilities, malware, and network attacks. 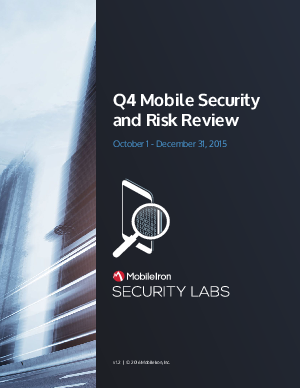 We see an increase in mobile device compromises, device vulnerabilities, and malicious apps. Furthermore, the attack surface is increasing due to increased risks.